The five-judges Constitution bench of the Supreme Court on Tuesday extended the deadline for mandatory linkage of Aadhaar number with bank accounts and mobile numbers till the disposal of petitions challenging the Constitutional validity of Aadhaar (Targeted Delivery of Financial and Other Subsidies, Benefits and Services) Act, 2016. But this extension is not applicable to availing services and subsidies under section 7 of Act. On December 15,2017 the Bench extended the deadline till March 31, 2018. The Constitution Bench comprising Chief Justice Dipak Misra and Justices A K Sikri, A M Khanwilkar, D Y Chandrachud and Ashok Bhushan has passed the order at the end of Today's hearing on Aadhaar matter. Senior Counsel Arvind Datar raised concerns regarding the mandate of Aadhaar for the issue of ‘Tatkal’ passports, referring to the interim orders of the apex court, the most recent being the one dated December 15, 2017. He also requested the bench to consider the extension of the March 31 deadline for compulsory Aadhaar linkage with mobile phones, bank accounts and other services. 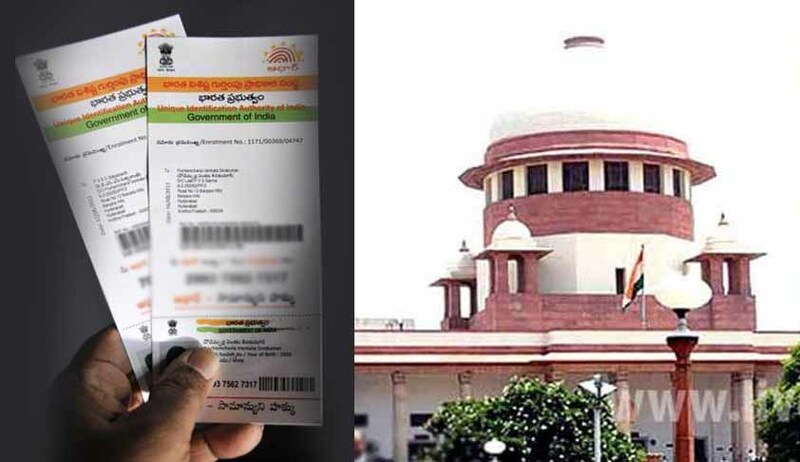 Attorney General K. K. Venugopal explained that while other ID proofs were acceptable for the issue of passports, the mandate of Aadhaar was merely in respect of its speedy issue under the ‘Tatkal’ scheme. He also requested that any extension of deadline may not affect the ‘Subsidies, Benefits and Services’ under section 7 of the Aadhaar Act. Chief Justice Dipak Misra remarked that as per the interim order, the deadline had been extended for all services and facilities, including the issuance of passports. "Having heard learned counsel for the parties, we accept the submission made by the learned Attorney General. Subject to that, we direct that the interim order passed on 15.12.2017 shall stand extended till the matter is finally heard and the judgment is pronounced. “11. In terms of (iii) above, subject to the submission of the details in regard to the filing of an application for an Aadhaar card and the furnishing of the application number to the account opening bank, we likewise extend the last date for the completion of the process of Aadhaar linking of new bank accounts to 31 March 2018. 12.In terms of (iv) above we extend the date for the completion of the E-KYC process in respect of mobile phone subscribers until 31 March 2018. It is also directed that the same shall also control and govern the Passports (1st Amendment) Rules, 2018.